Finger tattoos are a fun and unusual form of self-expression. Their tiny size means they can be positioned in the open for everyone to see, or tucked away in a secret place behind or in between fingers. However, you may be disappointed when you find out how long finger tattoos last. Unfortunately, our hands and fingers take more of a beating than other areas of the body. As a result, finger tattoos fade faster than tattoos in other parts of our skin. How long exactly? Let’s take a closer look at finger tattoos. 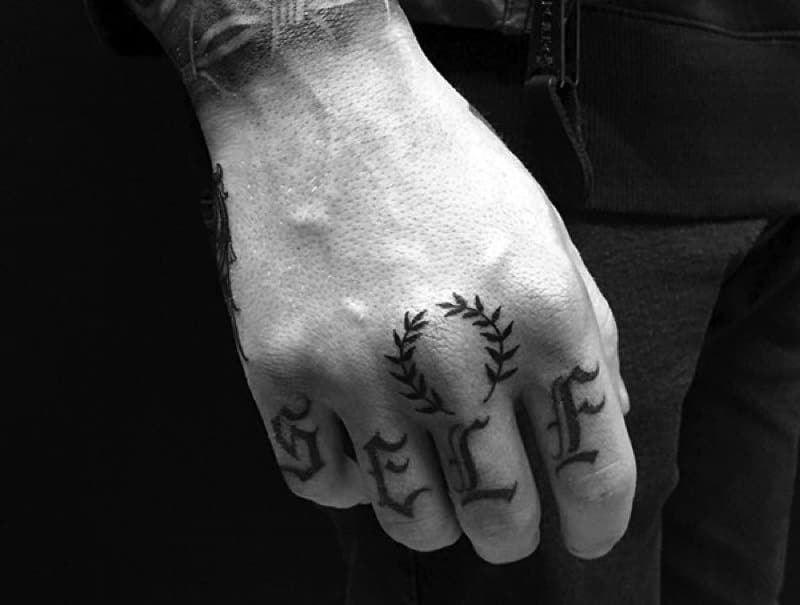 The life of your finger tattoo will depend on a few things. This includes the size and style of the tattoo and the level of skill of the artist. It also depends on your definition of a “lasting” tattoo. Finger tattoos will usually require regular touch-ups to keep them in pristine shape. 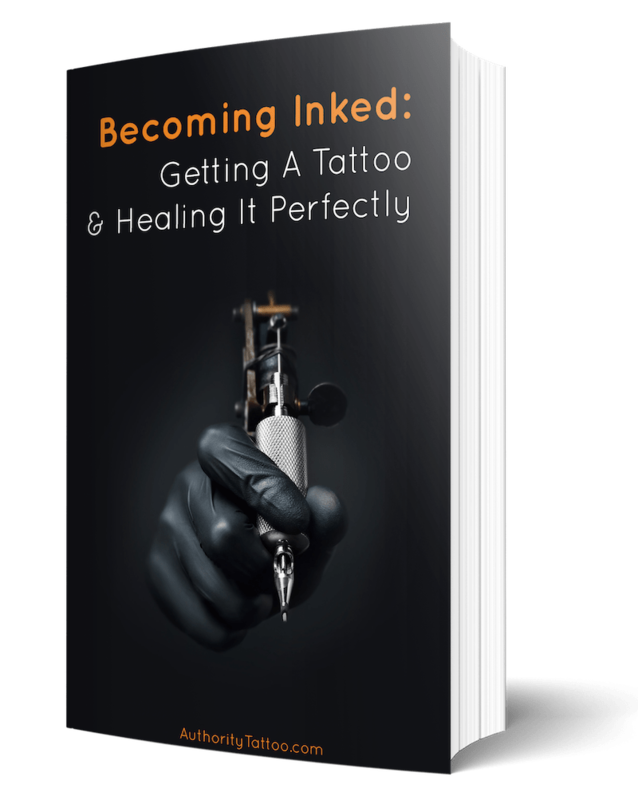 Generally speaking, your finger tattoo will most likely need re-inking, six to twelve months after the initial procedure. This time may change, though, depending on the circumstances mentioned above. Once the tattoo starts to fade, it will only get fainter unless it is touched up. If you are prepared to commit to regular ink sessions, then your finger tattoo can last as long as other tattoos. Although, the price of this will really add up over time and you’ll have to factor in the cost of yearly work from your tattoo artist. Compared to tattoos in other areas of the body, finger tattoos do tend to fade faster. This is primarily due to the amount that we use our hands every day. Simple tasks, like washing your hands, or sweeping the floor can cause a lot of wear and tear to the skin on your fingers and hands. Fingers may also be constantly rubbing against each other. The continuous activity of your hands and fingers leads to an increase in the shedding and regeneration of the skin in that area. Unsurprisingly, this will not help keep your finger tattoo in prime condition. The nature of the skin around your fingers and hands can make it difficult for a finger tattoo to heal properly. If you can make some changes to how you use your hands immediately after getting your tattoo, you may be able to extend its life. After any tattoo, your tattoo artist should give you some advice about aftercare. It’s really important to follow this advice carefully, to help promote quick and healthy healing. Below are some of our top tips to help make your finger tattoo last as long as possible. With finger tattoos, you must devote care and attention from day one to help your new ink last as long as possible. Eventually and inevitably, your finger tattoo will begin to fade. To extend the time before this happens, try following our handy tips to prolong the life of your tattoo. The design of your finger tattoo can directly impact the length of time it will remain in good condition. Firstly, the skin on hands and fingers is not as easy to work with as other parts of the body. This is because, thanks to our joints and knuckles, skin here isn’t as smooth as other parts of our body. With finger skin being so difficult to work on, artists find it hard to ink intricate and complex designs onto your fingers. The nature of the skin around our fingers can cause the tattoo lines to be fuzzy, colored ink to be less vivid, and darker ink to look more faded. With that in mind, you may want to consider a simple design for your finger tattoo. Think about a design with letters or line art. Basic designs, like words or outlines, tend to work much better on the skin around the fingers. Anything with small and intricate details is more likely to bleed and require more frequent touch-ups. 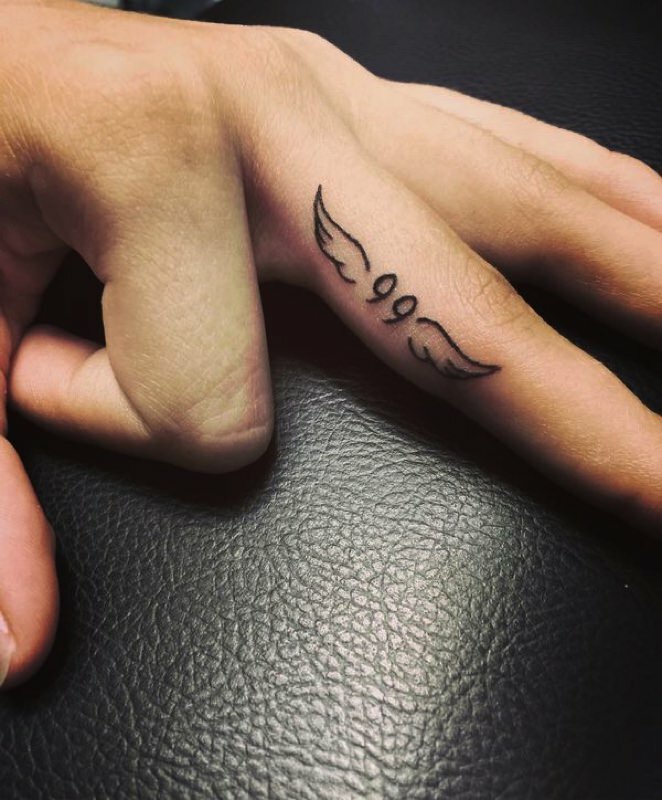 Your tattoo artist will be able to give you some great advice about a design that will hold up well on your fingers, if you’re not sure what you want. Your tattoo artist should also let you know if the design you want is likely to bleed or fade quickly. Immediately after receiving your tattoo, take extra care to make sure it heals properly. Your hand will need to be kept dry and clean for about a week, until you can start using it more normally. This can be extremely difficult, considering how often we use our hands. Be careful when doing everyday tasks, like brushing your teeth and showering. While this may be annoying to keep up, it is only temporary and will give your tattoo the best chance of healing quickly and correctly. You may want to consider only using mild and fragrance-free soaps at home too. These tend to be less harsh than heavily perfumed soaps and will help to keep your hands moisturized. Your tattoo artist will be able to make some recommendations for the best soaps to use. In the weeks following your tattoo, it is also very important to keep your hands moisturized. This will help to prevent the skin on your hands becoming too dry and shedding. Use a perfume-free hand cream regularly, especially after washing your hands. If you wanted to use something more natural to keep your skin moisturized, try coconut oil. As this oil is natural, there is less risk of irritation when compared to using a store bought moisturizer or hand cream. 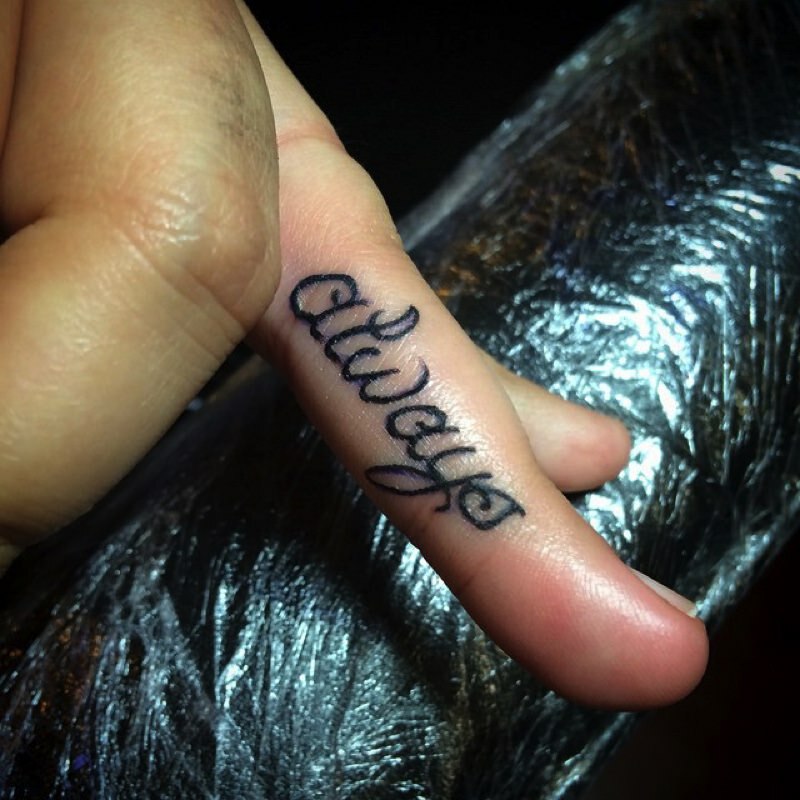 It is inevitable that your finger tattoo will start to fade. In order to help your tattoo last as long as possible and remain in great shape, top up when you need to. The longer you leave it, the worse it will get. It is not uncommon for you to need multiple top-ups in the first year to get your tattoo looking its best. A finger tattoo might not be the best choice for you if you are unwilling to keep up with the maintenance. Consult your tattoo artist and ask how often they think you will need to get extra ink. The number of top-ups you’ll need can depend on the design itself. You may want to consider working with your tattoo artist to adapt the design of your tattoo to something that needs less maintenance. Complex and detailed tattoos need more re-applications of ink than small, simple designs. 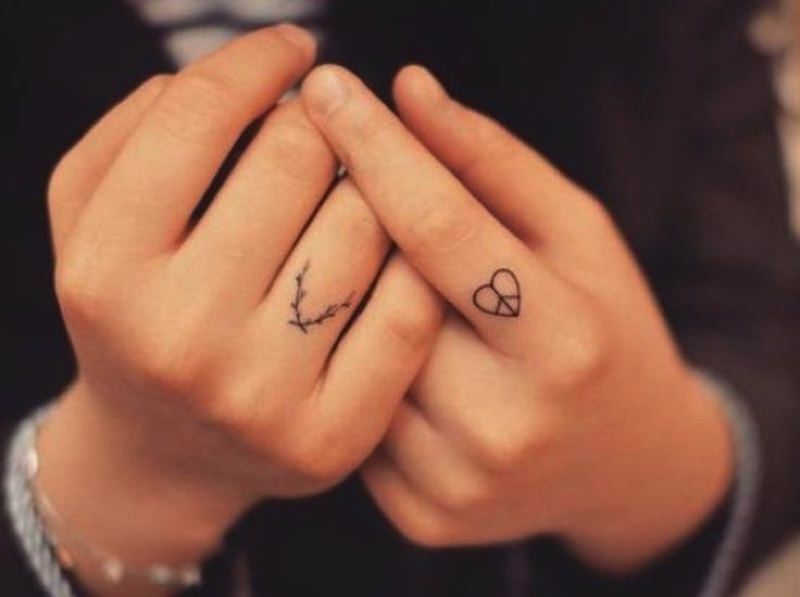 Finger tattoos do not last as long as tattoos in other areas of our body. While the location is fun and quirky, it may not be for everybody. Especially if you are not willing to commit to the ongoing maintenance and top-ups. It can also be difficult to promote quick and easy healing of a finger tattoo. It’s important to pay attention to this, though, because the initial healing can directly impact on how long finger tattoos last. It can be a real pain for the first few weeks but taking extra care at first is well worth it in the long run.